Thermaltake - Australia - Five models from Thermaltake, Tt eSPORTS and LUXA2 win the world prestigious “Red dot Design Award 2012” ! Five models from Thermaltake, Tt eSPORTS and LUXA2 win the world prestigious “Red dot Design Award 2012” ! Thermaltake is aiming to provide much more than just a product to users, we are creating high quality, high efficient and reliable creations to the users. With more than 4,515 entries from over 58 countries, the red dot design award is regarded as the quality seal for aesthetic forms and lasting trends. The five awarded models from Thermaltake Group all reached the high red dot award : Product Design 2012 specifications of the design quality, finish, choice of materials, degree of innovation, environmental impact, functionality, ergonomics, visualization of intended use, safety, brand value & branding, and universal design. Since the collaboration with BMW DesignworksUSA for the creation of “Level 10” and got awarded with “red dot design award: product design 2010”, the “Level 10 GT”, especially built for e-Sports gamers and DIY enthusiasts, deriving from the concepts of Thermaltake and BMW DesignworksUSA, has also got the award last year, breaking an impressive record! 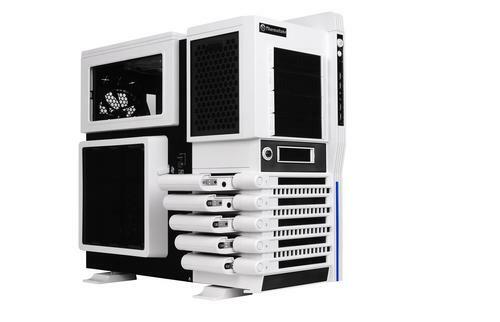 “Level 10 GT” emphasizes on the interior space, and has 5 sets of hot swappable hard drive trays for convenience and upgradeability; up to 3 large 20cm fans can be installed for maximum ventilation; a quick-release top lid facilitates easy installation of additional liquid cooling solutions; side panels and hard drives are secured by an advanced lock system to keep data and hardware safe and secure; it also has adjustable fan speed and fan LED lights to meet users’ individual preferences combining the applications of gaming and multimedia entertaining. 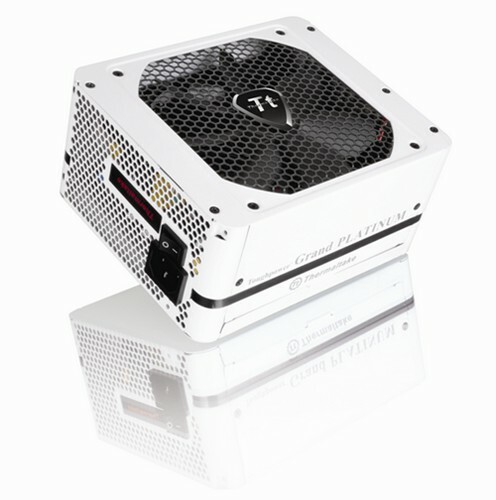 The design objective of the Toughpower Grand series is to create a sportive, exquisite, unique and stylish power supply for high-end gamers. The tough matt surface and red decorative line shows the distinguishing feature of sportiveness, and the large air intake area with honeycomb design makes it look like a sports car with infinite energy. The 80 PLUS Platinum certified Toughpower Grand series provides upto 94% high efficiency at 20-100% loading which will cut down the cost of electricity, and with its unique 3 oz. circuit board design, the production of wasted heat could be reduced and thus increasing the efficiency to fit in the living trend of reducing carbon emissions. The aesthetic appearance of the brand new dual ball bearing 14cm flower-shaped fan enables longer lifespan and lowers overall noise output by dramatically reducing bearing frictions. Taking the gamers needs into consideration, Toughpower Grand supports Multi-GPU and has 4 sets of PCI-E 6+2pin connectors to support 2 high class AMD CrossFire X and NVIDIA SLI graphic cards, becoming the first choice PSU for high-end gamers. Tt eSPORTS’ pro-gaming laser-engine mouse THERON, designed and endorsed by Tt APOLLOS SoftBall, as well as White-ra’s SAPHIRA, are all echoing to eSports community that Tt eSPORTS reserves none to bring the best pro-gaming products to the world. 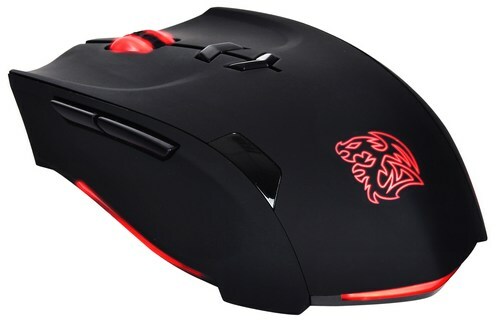 Tt eSPORTS THERON gaming mouse is designed with avant-garde Battle Dragon theme with acute trimming angle and solid black coating texture. The added lighting-effect feature with seven colors to choose from, and the pause-break lighting system, together THERON creates a love-at-first-sight romance with the gamers. User can also witness the color changes as he/she performs at different clicking frequency. 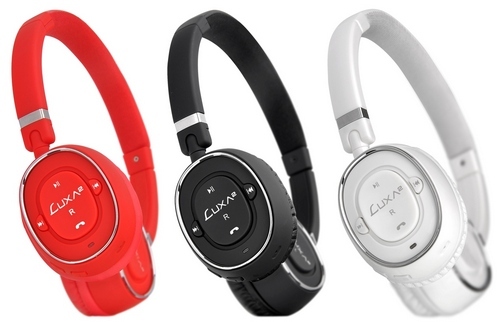 LUXA2 BT-X3 Bluetooth Stereo Headphone with Built-in Microphone is perfect to be used with iPod, iPhone, Android phones and other smart mobile devices. LUXA2 designed this headphone for mobile phone users who want the best voice quality for calls and the best audio playback quality for music. This premium headphone delivers a high quality music listening experience, crystal clear in-call voice quality with wireless connectivity. Proprietary technology allows BT-300 to give unparalleled audio performance with impressive range. With high-accuracy sound reproduction and the latest Hi-Fi Bluetooth audio output, you can enjoy superb music experience with powerful bass, well-balanced mid tones and extended highs. With millions of iPad selling worldwide, users are playing useful & interesting applications downloaded from iTune store everywhere. You may use the iPad in the office, living room, bedroom, studying room and even in your Kitchen. To better hold the iPad, the LUXA2 H4 is the most ideal holder for all kinds of iPad functions. 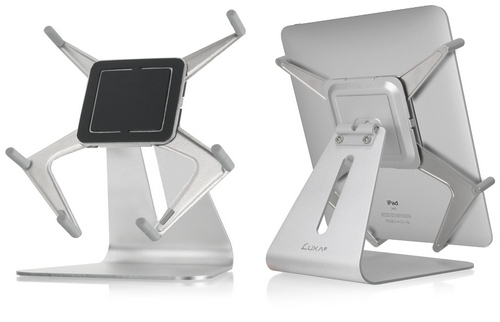 LUXA2 H4, made of solid aluminum, is a stand for iPad, iPad 2 and most other touch screen tablets on the market. With the benefit of corrosive resistant and shiny appearance, H4 is always the focus of attention. To ensure the perfection on every surface, brushed finish process is carefully applied on H4. Aluminum quality also makes H4 durable and long lasting. You don’t have to worry about replacing it for a long time. A culturally defined brand, imbuing deeply e-Sports spirit , lifestyle and technology ! After being awarded by many international awards, Thermaltake will keep offering the best innovations of entertainment, technology and lifestyle. In 2012, the team of Thermaltake group will continue to strive toward, hoping to fulfill consumers’ needs by providing the professional services and enhancing the product quality and customer satisfaction.